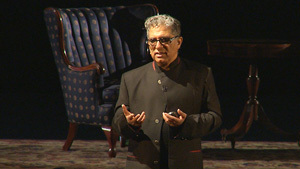 Deepak Chopra, MD, a leading pioneer in integrative medicine, shares insights from his new book, "The Healing Self," on how to protect your immune system by managing stress and reducing inflammation two key factors for lifelong wellness. Chopra is presented by the 2018 Writer's Symposium by the Sea at Point Loma Nazarene University. 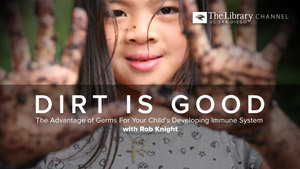 In discussing his new book, "Dirt is Good: The Advantage of Germs For Your Child's Developing Immune System," author and UC San Diego Professor of Pediatrics and Computer Science & Engineering Rob Knight explains how the microbiome works and offers guidance for parents on boosting their children's health. 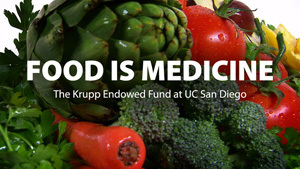 Knight is presented by the Library Channel at UC San Diego. Recorded on 10/24/2017. 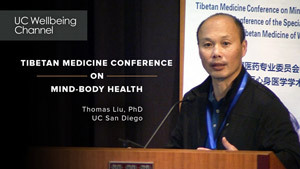 This presentation continues the conversation on the value of Tibetan medicine in treating chronic diseases, optimizing clinical outcomes and improving mind-body-spirt wellbeing. 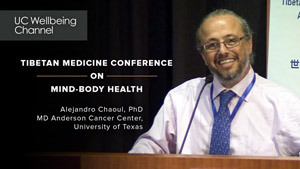 Alejandro Chaoul of the Integrative Medicine Program at the University of Texas MD Anderson Cancer Center joins scholar Mona Schrempf and anthropologist Tatiana Chudakova of Tufts University as part of the Tibetan Medicine Conference on Mind-Body Health held at Harvard in October, 2017. 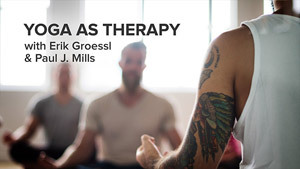 Clinical psychologist Erik Groessl talks about research showing the value of yoga in reducing pain, improving physical function and overcoming opioid addiction in military veterans, among other patients, in this conversation with Paul J. Mills of UC San Diego. 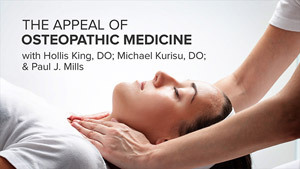 Hollis King and Michael Kurisu, both osteopathic physicians (DO's) at UC San Diego, describe how osteopathy is a hands-on medical treatment that focuses on the structure and function of the whole body, not just symptoms of disease or pain. As they explain to host Paul J. Mills, doctors of osteopathy learn the same curriculum as traditional medical students, but they approach their patients with a more integrative philosophy of healthcare. 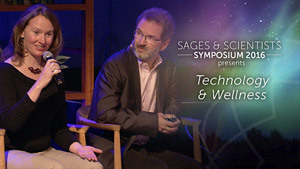 Rupert Spira, author of "The Transparency of Things," speaks here with Paul J. Mills of UC San Diego about the concept of non-duality, or advaita. They explore the idea that there is no separation between the self and the universe -- and how understanding this basic truth will lead to greater wellbeing. ISHAR promotes interdisciplinary collaboration by offering an open access platform where everyone can share their studies and research. Ryan Castle explains how it gives researchers, practitioners and volunteers a space to work together to brainstorm and share the work in integrative studies. Recorded on 09/10/2016. 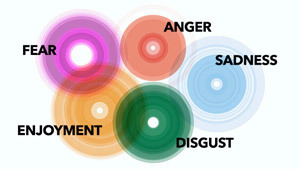 For the past several years, UCSF Osher Center for Integrative Medicine Research Fellow Dr. Eve Ekman has been collaborating with her father, Dr. Paul Ekman, and the Dalai Lama on their "Atlas of Emotions" project, based on a survey of 248 leading emotion researchers and their consensus about five universal emotions: enjoyment, sadness, disgust, anger, and fear. The Drs. Ekman present their findings on this groundbreaking project. Paul J. 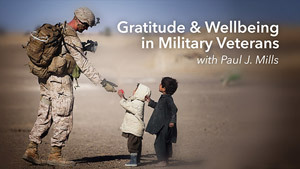 Mills, the director of the Center of Excellence for Research and Training in Integrative Health at UC San Diego School of Medicine, speaks to military veterans about the positive impacts of being thankful in everyday life. Among the benefits -- successful aging, better sleep, stress reduction, and a drop in depression, anxiety and fatigue. 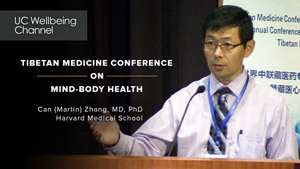 Dr. Jonathan Rosand of Harvard Medical School presents a case study of his patient David Shaw, who suffered from viral encephalitis, and how he used integrative medicine, in conjunction with traditional medicine, to heal Shaw. 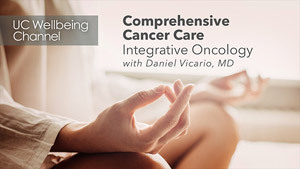 Among the components in Rosand's personalized approach, encouraging patients to be more grateful and joyous. 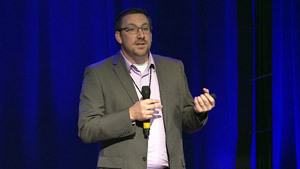 Rosand follows with a presentation on latest research on brain health. Recorded on 09/11/2016. 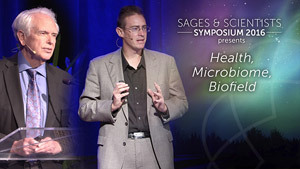 The Sages & Scientists Symposium presents "Health Science" with William Mobley, MD, Chair of the UC San Diego Dept. 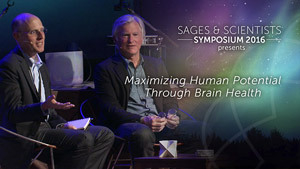 of Neuroscience; "The Microbiome and Health" with Rob Knight, PhD, Professor of Pediatrics at the UC San Diego School of Medicine; and "Biofield" with Shamini Jain, PhD, Asst. Professor of Psychiatry at UC San Diego. Recorded on 09/10/2016. 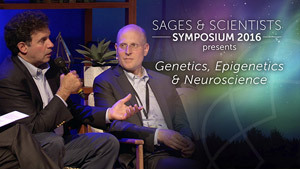 The Sages & Scientists Symposium presents "Genetics, Epigenetics, and Neuroscience" with Deepak Chopra, MD, of UC San Diego School of Medicine; and Rudolph Tanzi, PhD, Professor of Neurology at Harvard University and Director of the Genetics and Aging Research Unit at Massachusetts General Hospital. Joining them is Jonathan Rosand, also a Professor of Neurology at Harvard Medical School. Recorded on 09/10/2016. 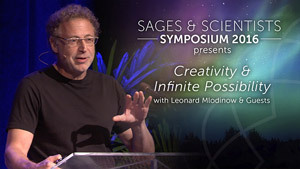 The Sages and Scientists Symposium presents a panel of experts led by physicist and popular science author Leonard Mlodinow exploring how creativity in music and the arts leads to wellbeing. Recorded on 09/11/2016. 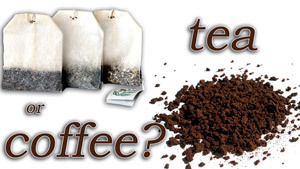 Dr. Mimi Guarneri compares two commonly caffeinated beverages, stressing the importance of buying organic coffee beans and highlighting the numerous health benefits several cups of tea a day could bring.